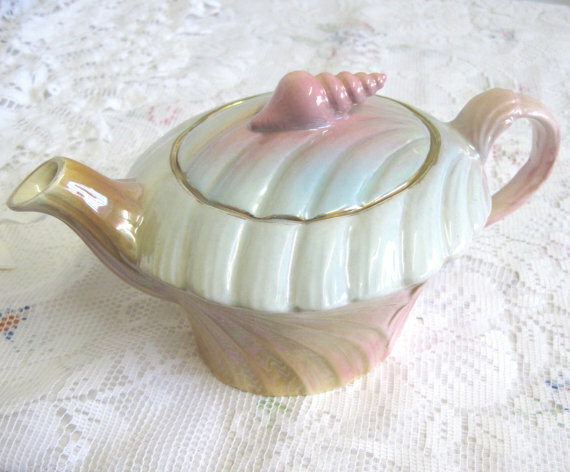 Made by Royal Winton between 1950 and 1952, it has a very unusual shape, pattern and pastel color scheme reminiscent of pretty shells found on tropical shores. The lid finial is a hand molded pink periwinkle shell. Harlequin Tennis Sets. Made by Maling between 1955 and 1960, in green, yellow and pink lustre glaze. 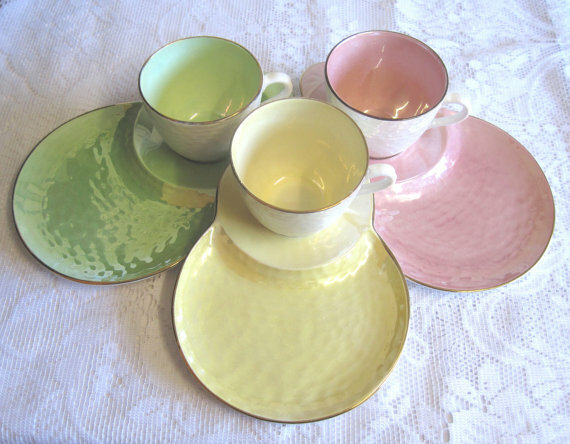 The cups are a creamy lustre on the outside and inside are coloured to match the plates. 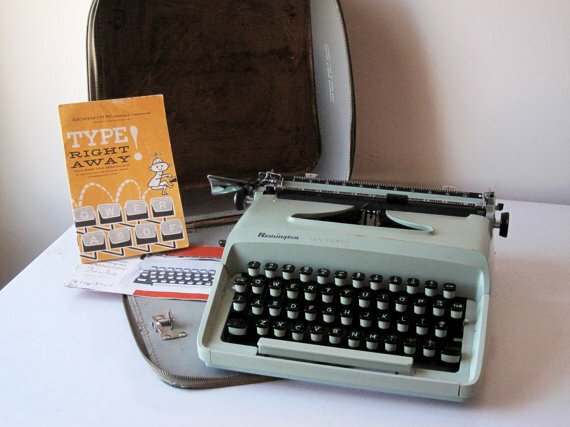 Those were the days… When a manual typewriter was the newest thing! Midcentury Remington Ten Forty manual typewriter in teal green with its original manuals and case. Case made in West Germany.